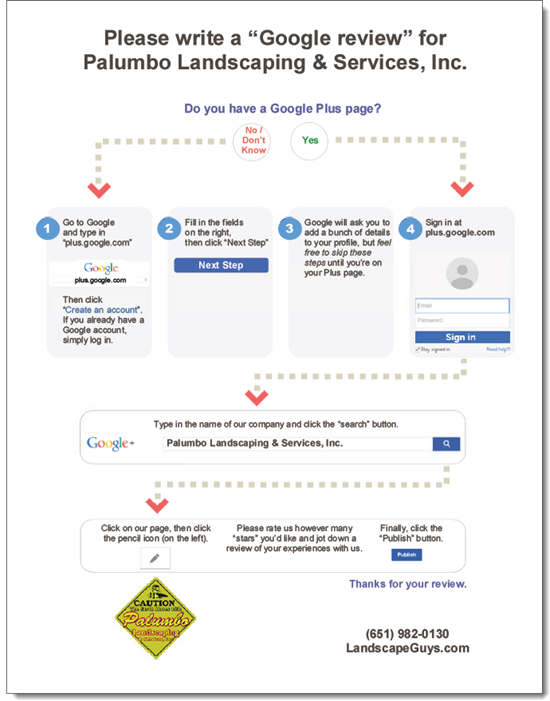 Google has changed the steps for writing a Google Plus review…again. Unlike 3 years ago, this time Google made the steps a little simpler for customers, clients, and patients. The new “Collections” feature in Google+ seems to have been the impetus for change here. The review steps haven’t changed much. Google removed the “Local” tab in Google+, along with the two-field search bar that you’d use to find the business you want to review. Now all you do is sign into Google+ and look up the business in the search bar. 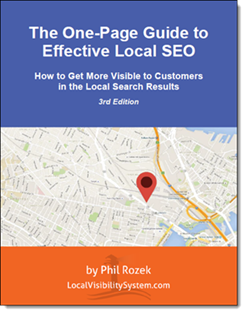 You may have to include the city + state in the search bar, in order to pull up the right listing. By the way, I can custom-make instructions like those for you ($20 per PDF). Thoughts on Google’s latest tweak? Do you think it makes the review process easier? The switchover from Google Places to Google+Local pages has probably been pretty hands-free for you: Your Places page automatically became Google+Local page. Unless you’ve already gone into your new listing, it probably looks a little bare. Some of the info from your old Places page may be missing on your new page. But making edits or adding info to your Google+Local page can be confusing – especially if you haven’t logged into your Google+Local page yet. It’s easy to get lost. I think it’ll once again be easy to make edits to your local listing once Google goes through the next round of changes and switches over completely to “Google+ for Business” pages. But in the meantime, during the long transition, you need to be able to navigate the confusion. That’s why I’ve put together this step-by-step walkthrough on how to edit your Google+Local page. Follow steps 1-19 if you haven’t logged into your Google+Local page, edited it, or added information to it since May 30, 2012. 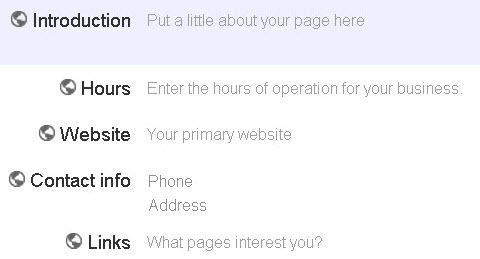 In other words, if you haven’t done anything with your Google+Local page, follow ALL the below steps, 1 -19. Follow steps 13-19 if you’ve spent some time in your Google+Local page but simply want to know how to edit it (or forgot how to). If this describes you, scroll down to step 13. 1. Click the “+You” button in the top-left of Google’s homepage. 4. Feel free to skip the next few steps – the ones that ask you to find your “friends,” add a profile photo, etc. You can always loop back to these later. 8. Click on your business listing (it should have a red map pin). 9. Select a category from the dropdown menu. These are only rough categories, so just pick whichever one seems most applicable. 11. Add a main photo to your Google+Local page, or click “Continue” if you feel like skipping this step. 13. While logged into your Google+ page, hover over the “Pages” button on the left, and click on your business name when it appears in the drop-out menu. IF you don’t see the “Pages” button on the left, hover over the “More” button in the bottom-left, and then select the “Pages” button when it appears in the drop-out menu. 16. Click “Edit profile” (near top of page). 18. When you’re done editing or adding your info, click “Done editing” (near the top of the page). (In case you weren’t sure, despite the switch to Google+Local, these steps are as applicable and necessary as ever). Also make sure to request to be notified by Google when the next changes roll out.